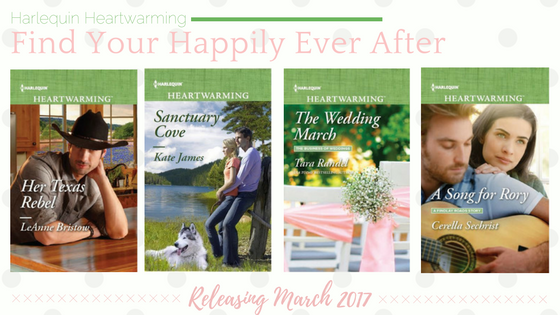 I'm pleased to announce that the March Harlequin Heartwarming authors are offering a giveaway to celebrate the releases of our new books. First up, we have our preorder/purchase sweepstakes as a way to say thank you to our readers. One lucky person will receive a spectacular Love is Blooming Potter's Passion Prize Pack consisting of a solid-wood, hand-made planter box, brimming with treats for gardening enthusiasts, a garden tool set, tote and folding seat, thirteen “ever-blooming” blacked-eyed Susan garden stakes, three pairs of garden gloves, 25,000 Harlequin My Rewards points, and three previously-released, signed Heartwarming books! 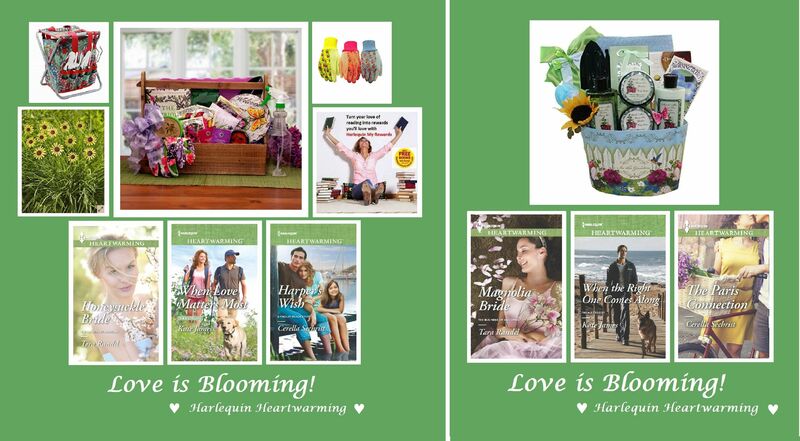 The second giveaway, Love is Blooming Gardener’s Dream Prize Pack is a gardener’s dream come true and arrives in a pretty planter. We’ve included three previously-released, signed Heartwarming books to read while you soak your cares away with the bath salts included in the prize pack after a hard day’s work. The contest is open until March 30. Click on the link above and enter!